What's on Netflix > Netflix News > When will Season 3 of Scream be on Netflix? When will Season 3 of Scream be on Netflix? Scream, after a two-year break, is finally back in 2018 with season 3 which will be coming to Netflix in most regions. Season 3 will act as a complete reboot after poor ratings during season 2. We’ll be covering its Netflix release schedule below for the United States, United Kingdom, Canada and more. MTV has done a shoddy job in recent years with their scripted content that isn’t reality shows. We’ve already seen promising titles such as The Shannara Chronicles fall by the wayside. For a long time after season 2, it did look as though that show would follow in the same footsteps. Fortunately, season 3 was announced but it’s now been multiple years since. The series is currently scheduled to start up again sometime during March 2018 and is planned to reboot the series. Every character has been recast and will tell a brand new story set in the scream universe. There’s no trailer for the new season as of yet but there is some other information available as well as a fantastic trailer made by a fan. One of the key announcements about season 3 is that it’ll be airing all six episodes in a short span of time. In fact, all six episodes will be airing over the course of 3 nights. Predicting a Netflix release date is particularly tricky for two reasons. One, the series has skipped a year meaning it’s not following a yearly release cycle. Secondly, because the series is dropping all six episodes in one week, it’s not paced like a normal show. That means we have a window of release on Netflix. At the latest, it’ll be available in September 2018 as that’s when the MTV contract has been renewed in the past. At the earliest, it may be available in early summer 2018. In the United Kingdom, where the series is a Netflix Original, it’ll be getting episodes even sooner. Given the series has previously dropped new episodes the day after, a practice seen on many Netflix Originals in the UK, we think you’ll be seeing all six new episodes drop in late March 2018. It’s worth noting that Scream wasn’t included in the lineup for Netflix UK for March. 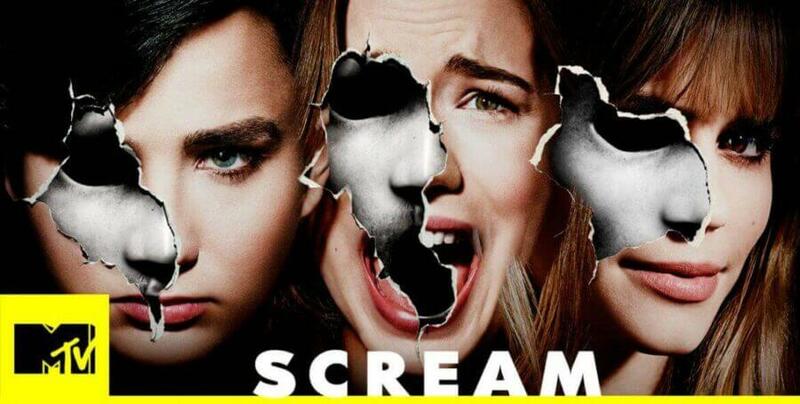 Is Scream going to be a Netflix Original? We’ve heard a lot of confusion around the state of the show and that’s no surprise given how well MTV has handled the press surrounding the show. MTV still operates the show running going into season 3. Netflix, however, exclusively distributes the show in many regions such as the United Kingdom. As such, it flies with the Netflix banner and is technically a Netflix Original.